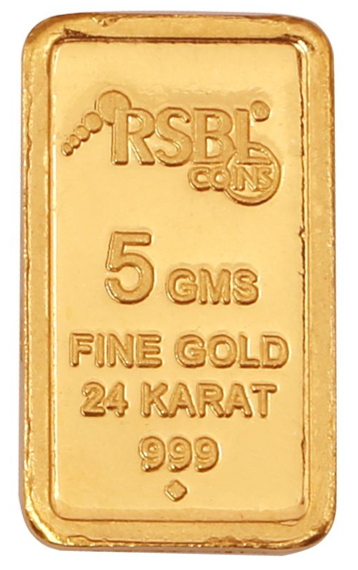 Companies carrying high-purity gold products have “999.9”, “999” or similar stamped on some of their bars and coins. So, what does “999.9” mean in gold? Also, occasionally you would see “24 karat” or “24 k” stamped somewhere as well, more often you will find it mentioned in a product description though. Both, “999.9” and “24 karat”, mean the same thing. That gold is virtually at its maximum fineness or very close to being 100% pure gold. These are examples of two different systems used to show the fineness of gold (its purity). Although in the past there were several methods to indicate the purity of gold, these two systems are still used today. Intuitively, you probably have a general idea what “999.9” means, so let’s start with this first. The two systems are analogous. So, once you fully understand the meaning of “999.9”, you will better understand what “24 karat” means (which I will discuss in the next post). “999.9” or “999” are examples of purity representation of gold using millesimal fineness system. In this system, fineness or gold purity is expressed in parts per 1000. In other words, it tells how many parts, out of 1000, are pure gold (in given piece of gold). To make it clear, picture a piece of gold that it is broken down to 1000 parts of equal mass. Then if all parts of pure gold (containing 100% pure gold or very close to that) are counted, you will get a purity in millesimal fineness. For instance, a gold bar with a purity of “999.9” would have 999.9 parts that are pure gold. The remaining 0.1 parts would be some other metal. It can be copper, silver, nickel, zinc or a combination of them. Because they make gold less pure, sometimes they are called impurities. Mathematically speaking, there is no such thing as 100% pure gold. But the purity can be pushed very close to that. The higher the purity of gold, the closer the millesimal fineness gets to 1000. Vise versa is also true. The lower the purity, the farther the number gets from 1000 (and closer to 0). Of course, in real life nobody breaks gold in 1000 parts. Instead, to get gold purity in millesimal fineness, the percent of gold (in decimal form) found in a given piece of gold is simply multiplied by 1000. Bear in mind that once gold leaves a refinery, its purity is already known. So, if you think about it, to go from millesimal fineness to percent, you just need to move a decimal point to the left one space. I hope this summary clears mud for you when looking at “999.9” stamp. As always, let me know what you think. And until next time when I will be talking about the meaning of “24 karat”. Sir/maam the gold I have seen FINE A.U GOLD 999.9 , WHAT KIND OF GOLD IS THAT? “Au” may simply stand for a chemical symbol of gold. It also may stand for a company name or refinery. But I’m inclined to think that it stands for a chemical symbol of gold. Thanks for dropping by, and let me know if you have any more questions! If it says 999.9 on a bar as long as it’s not fake and coming from a reputable refinery or bank, doesn’t matter whether it’s Chinese or Japanese.